Single-row steel sheet piles cofferdam is usually composed of steel sheet piles retaining wall, internal support or pull anchor and so on. Between neighbors supports, and at a defined depth to produce sufficient passive resistance. When the bottom of the cofferdam under the support Of the sheet pile as a simple support, the sheet pile into a sufficient passive earth pressure and the weir body is still stable under the case of more than two road support, due to pile soil depth Insufficient, difficult to produce road support The following Sheet pile as a cantilever This will lead to the bottom of the road to support the load is too large should try to avoid this situation. In any case, steel sheet piles below the excavation face must have sufficient depth to allow sufficient soil depth to control groundwater infiltration into the cofferdam. Piling: During the process, it is necessary to record the signs that the sheet pile may trip. Cases it is also necessary to spray the slurry after the pile to control seepage. Can choose cantilever sheet pile cofferdam but with the cantilever retaining wall-like has a limited retaining water (soil) height is limited. When the cofferdam's plane size is large, but the depth is relatively shallow, it is more economical to provide a diagonal brace or an external anchor. The use of anchors will occupy the external space of the sheet pile cofferdam and may also require the consent of The owner to be installed. For cofferdams with depths exceeded 3 m, internal support systems consisting of sections or special supports are usually used. Each design phase should accurately reflect the construction process. Typical construction procedures are: excavation and precipitation to the first support surface below, then install the first support; repeat the process for the next support of the installation. For cofferdams in the water, it should Be noted that the stresses generated during the installation of precipitation and piers may be greater than the stress generated at the end of the cofferdam construction. It is recommended that a special lock sealant be used in the water sheet pile cofferdams. When the excavation depth of Soil is very small, it is most advantageous to install all the supports underwater before precipitation. 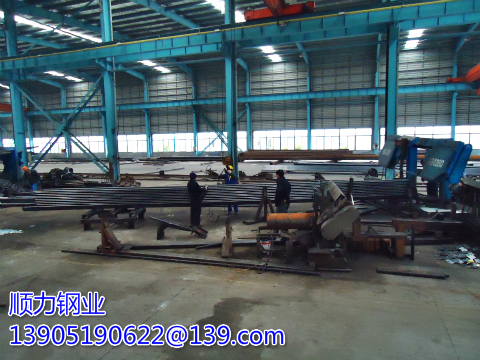 The maximum support distance between the top support and the second support in the cold-formed steel sheet piles wall of different cross-section modulus is indicated by the equal equal support forces for the second support below this spacing.